Are Claims Of Bilberry Benefits Realistic? Numerous claims have been made regarding bilberry benefits. The health giving attributes of the berry itself are well known, at least in terms of nutritional value. As far as medicinal value is concerned, the jury is still out regarding many of the claims that have been made. If you do some research into advertised bilberry benefits, there are plenty of qualifiers, such as "thought to be", "believed to be", "may be beneficial in the treatment of...", and others. Often cited are claims that bilberries were consumed by WW II pilots to improve their night vision. While it is true that the bilberry has compounds that appear beneficial to the eye, the night vision story has never been officially confirmed, and has taken on the status of an urban legend. Anything like A Huckleberry Has To Be Good - The bilberry is a close relative of the blueberry, the huckleberry, and the European lingonberry. Native to Europe, it is often referred to as the "European blueberry". Somewhat like the huckleberry, it is primarily harvested in the wild, and does not grow well under cultivation. It does not keep well, except when frozen, and fresh bilberries can command a fairly steep price. It is popular in jams and pies. Like the blueberry, which is regarded as an extremely healthy food item, the bilberry contains powerful antioxidants. As such, it has many potential benefits both from the standpoint of nutrition, and from the standpoint of medicine. Side Effects Mild – Except With Aspirin - Most of the claims addressing bilberry benefits seem to originate from those promoting bilberry supplements. The bilberry is an herb, and herbal supplements abound in the market place. Some are of significant value, others are of somewhat questionable value. When you take any supplement, especially one you've not taken before, it pays to learn as much about it as you can. Claims have been made that the bilberry produces no harmful side effects. This is true in a very general sense. 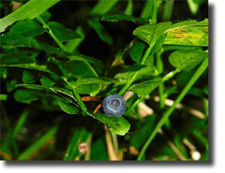 The bilberry is a very healthy food, and certainly not toxic. One finding however is that it promotes an anti-platelet process in the blood, and can be dangerous it taken in conjunction with aspirin. In one study, approximately 4% of those taking bilberry extract suffered side effects. Though the side effects were generally mild, from a medical standpoint, 4% is a very high number. Excessive amounts of bilberry juice can cause diarrhea. This isn't that surprising as excessive doses of many otherwise healthy juices can do the same thing. The problem with this claim is that excessive is not defined, and the words" may cause diarrhea" makes the claim somewhat doubtful. It has been shown though that, the bilberry leaf, though consumed, is mildly toxic. Again the word excessive remains undefined, but if you don't have bilberry leaves for breakfast, lunch, and dinner, you're unlikely to have a problem. Antioxidant Properties Have Been Proven - It is the antioxidant properties of the bilberry where research has proven the berry's worth. While not quite as powerful as the blueberry or the raspberry as far as anti-oxidants are concerned, the bilberry is nevertheless a very healthy food. Research and clinical tests have also shown one of the bilberry benefits it that it does improve circulation, particularly at the capillary level. As far as many of the other claims are concerned, which address everything from fighting cancer to curing macular degeneration, the claims are replete with "may have" and "is thought to be". In summary, though you may have to travel to Europe to sample fresh bilberries, or have a piece of bilberry pie, either will undoubtedly be good for you. As far as what bilberry benefits are in terms of supplements, don't believe everything you read. Talk to your doctor, or to a nutritionist, one who isn't promoting the supplements.